Self adhesive labels 60mm x 30mm in size. Printed in full colour onto white labels to fit either rectangular or oval labels. 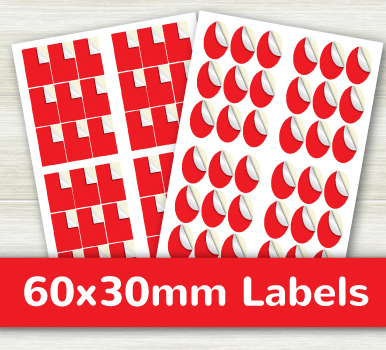 How would you like your 60x30mm Labels?